Since the 1990s, astrophysicists have known that for the past few billion years, the Universe has been experiencing an accelerated rate of expansion. This gave rise to the theory that the Universe is permeated by a mysterious invisible energy known as "dark energy", which acts against gravity and is pushing the cosmos apart. In time, this energy will become the dominant force in the Universe, causing all stars and galaxies to spread beyond the cosmic horizon. The paper, "Securing Fuel for our Frigid Cosmic Future", recently appeared online. As he indicates in his study, when the Universe is ten times its current age (roughly 138 billion years old), all stars outside the Local Group of galaxies will no be accessible to us since they will be receding away faster than the speed of light. For this reason, he recommends that humanity follow the lesson from Aesop's fable, "The Ants and the Grasshopper". "In my essay I point out that mother Nature was kind to us as it spontaneously gave birth to the same massive reservoir of fuel that we would have aspired to collect by artificial means. 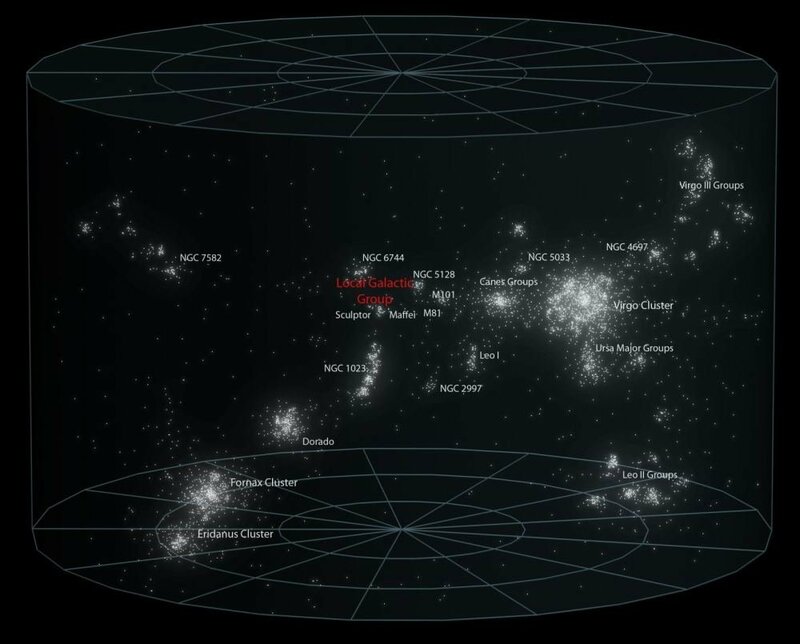 Primordial density perturbations from the early universe led to the gravitational collapse of regions as large as tens of millions of light years, assembling all the matter in them into clusters of galaxies – each containing the equivalent of a thousand Milky Way galaxies." This paper is similar to a study Dr. Loeb conducted back in 2011, which appeared in the Journal of Cosmology and Astroparticle Physics under the title "Cosmology with Hypervelocity Stars". At the time, Dr. Loeb was addressing what would happen in the distant future when all extragalactic light sources will cease to be visible or accessible due to the accelerating expansion of the Universe. 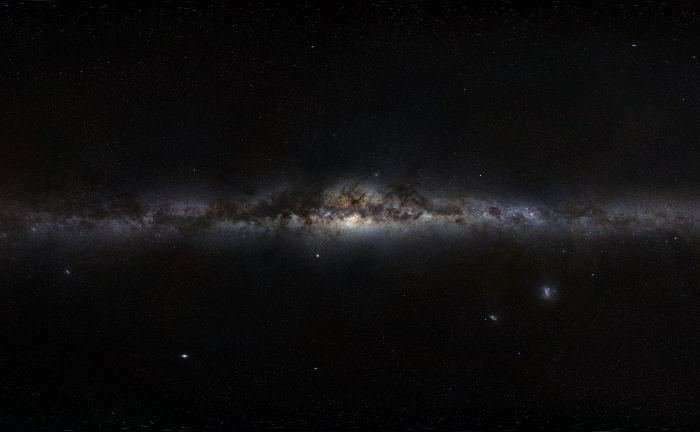 This study was a follow-up to a 2001 paper in which Dr. Loeb addressed what would become of the Universe in billions of years – which appeared in the journal Physical Review Letters under the title "The Long–Term Future of Extragalactic Astronomy". Shortly thereafter, Dr. Loeb and Freeman Dyson himself began to correspond about what could be done to address this problem. "A decade ago I wrote a few papers on the long-term future of the Universe, trillions of years from now. Since the cosmic expansion is accelerating, I showed that once the universe will age by a factor of ten (about a hundred billion years from now), all matter outside our Local Group of galaxies (which includes the Milky Way and the Andromeda galaxy, along with their satellites) will be receding away from us faster than light. After one of my papers was posted in 2011, Freeman Dyson wrote to me and suggested to a vast "cosmic engineering project" in which we will concentrate matter from a large-scale region around us to a small enough volume such that it will stay bound by its own gravity and not expand with the rest of the Universe." 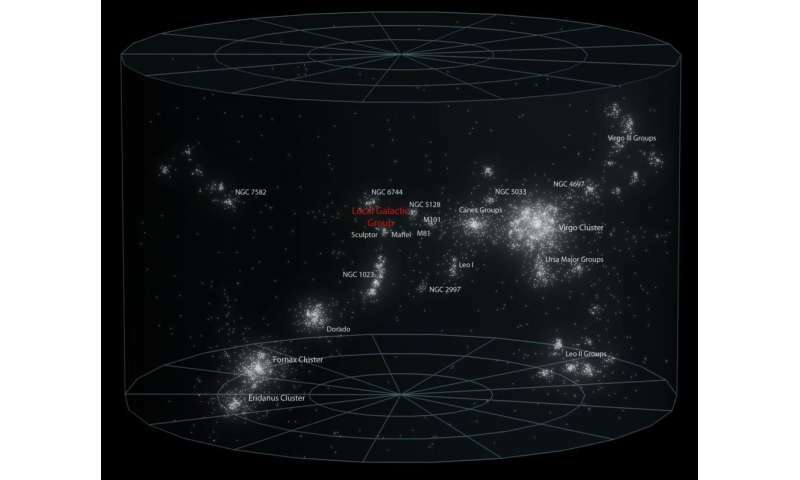 At the time, Dr. Loeb indicated that data gathered by the Sloan Digital Sky Survey (SDSS) indicated that attempts at "super-engineering" did not appear to be taking place. This was based on the fact that the galaxy clusters observed by the SDSS were not overdense, nor did they exhibit particularly high velocities (as would be expected). To this, Dr. Dyson wrote: "That is disappointing. On the other hand, if our colleagues have been too lazy to do the job, we have plenty of time to start doing it ourselves." This harvesting would consist of building unconventional Dyson Spheres that would use the energy they collected from stars to propel them towards the center of the species' civilization. However, only stars that range in mass of 0.2 to 1 Solar Masses would be usable, as high-mass stars would evolve beyond their main sequence before reaching the destination and low-mass stars would not generate enough energy for acceleration to make it in time. "First, we do not know of any technology that enables moving stars around, and moreover Sun-like stars only shine for about ten billion years (of order the current age of the Universe) and cannot serve as nuclear furnaces that would keep us warm into the very distant future. Therefore, an advanced civilization does not need to embark on a giant construction project as suggested by Dyson and Hooper, but only needs to propel itself towards the nearest galaxy cluster and take advantage of the cluster resources as fuel for its future prosperity." And as Dr. Dyson said, if there are currently no ETIs preparing for the coming "cosmic winter" with cosmic engineering projects, perhaps it is something humanity can plan to tackle someday!